Want it by Friday 26th April? Order within 19 hours, 3 minutes and choose Royal Mail 24 Hour Delivery at checkout. 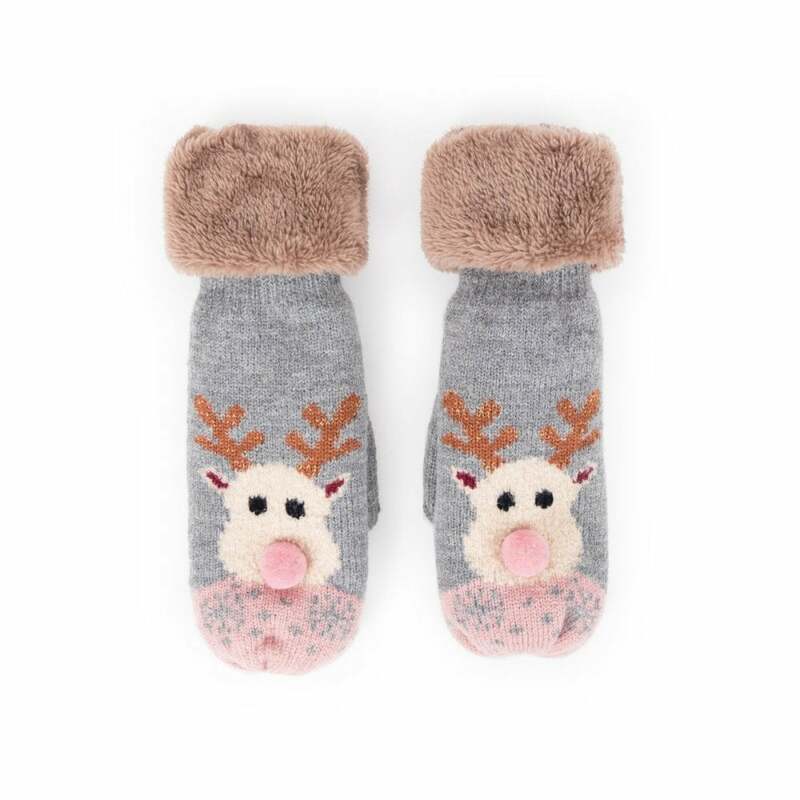 Stay warm and feel festive this winter in this adorable cosy Rudolph mittens. Lined for extra warmth, these sweet mittens are perfect for those cold festive days. Matching bobble hat available.